Tabor Deck only – No trucks and wheels. 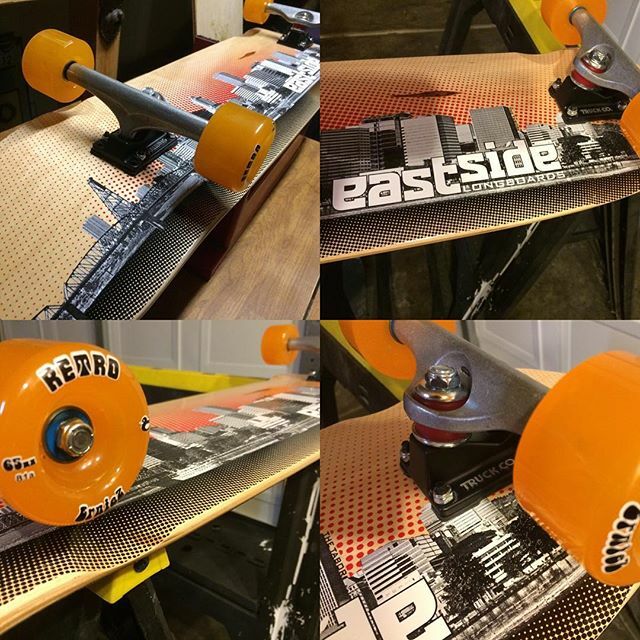 Eastside’s first classic model that launched the brand in 2003. 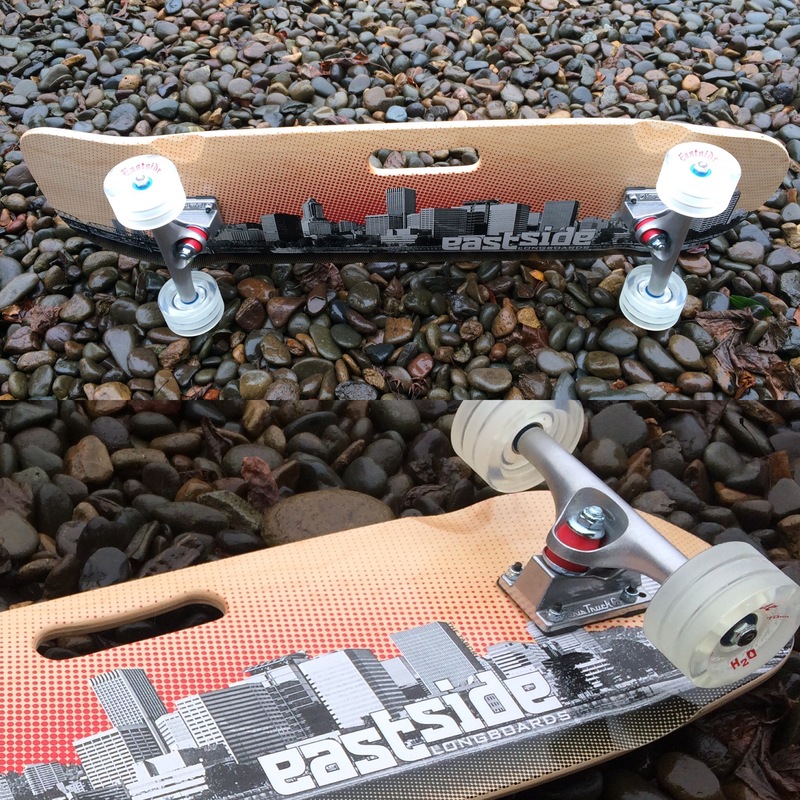 Named after a dormant volcano and Portland’s most famous longboard run Mt.Tabor. Originally it was made for urban transportation for the everyday commuter. In addition it’s now been upgraded to also attack various terrain of ditches, banks, and skateparks. The new mold has more concave, a wider tail, and bigger nose and tail kicks that create a more responsive feel. 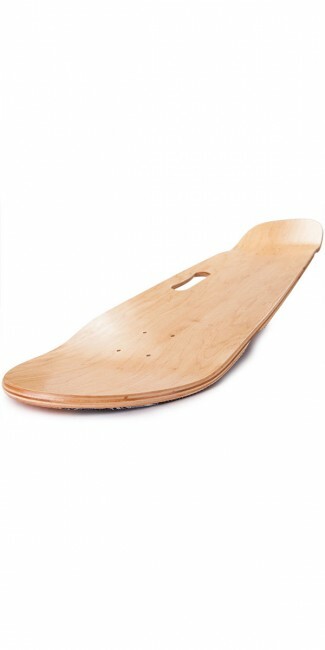 The Tabor is constructed with 7 plies of extra thick longboard grade maple veneer and non-toxic waterproof glue. The wheel-wells are designed for Reverse Kingpin (RKP) trucks such as Caliber and Paris 50 degree trucks. Recommended wheels 62-70mm. 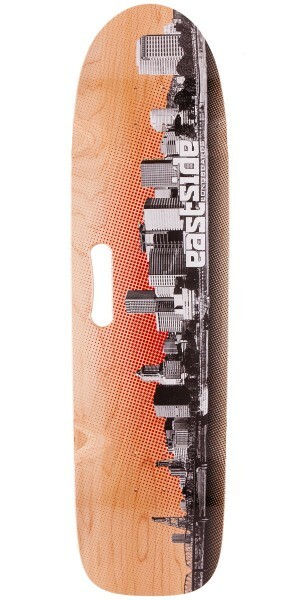 Trademark carry Handle is reliable and sturdy for traveling through the busy city life. You’ll be ready to throw down, pick up, and ride in between the chaos and traffic. You also have the option of choosing the same board without the handle. Graphic shows the view of Downtown Portland from the lower Eastside.